I truly believe that small, intentional acts of kindness can change the world and work very hard to teach my kids that even at their ages they can really make a difference. That’s why I love today’s post so much! My friend Erica from What Do We Do All Day? 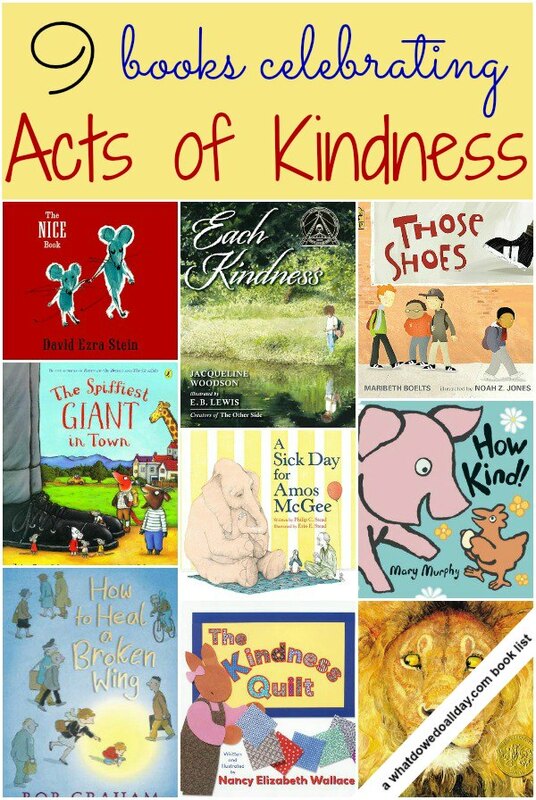 is the book list queen and curated this wonderful list of books that focus on kindness for me and my readers. I am so excited to read these with my kids! I’m so pleased to have this opportunity to share a few great books with the readers of Coffee Cups and Crayons. Megan’s enthusiastic embrace of the importance of performing everyday acts of kindness with kids is inspiring! I hope that these books will help parents talk about the importance of treating other with respect, generosity and that a kind word or deed goes a long way. Even reading a book to a child is an act of kindess! Those Shoes. This book deals well with the topic of poverty and the importance of putting others’ needs ahead of our own wants. Jeremy wants the latest pair of trendy shoes. All his friends have them but his grandmother can’t afford to buy him a pair. I like that she never shamed him for wanting what he couldn’t have. Jeremy finds a pair at a thrift store and buys them even though they are too small. When he makes friend with a kid at school who needs them more than he does, he gives them to him. I love how this book is honest about the struggles Jeremy has about giving the shoes away. He really wants to keep them for himself but in the end does the right thing on his own. Jeremy feels embarrassed about the shoes he does have to wear and that doesn’t disappear, making the act of kindness even more powerful. Each Kindness. This touching book won the 2013 Charlotte Zolotow Award. New girl, Maya, finds herself alone at school. Her obvious poverty sets her apart and the other children reject her overtures of friendship. 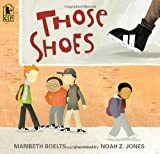 Another girl, Chloe, narrates the action and the way the other children reject Maya, including her own admission, “She’s not my friend.” One day, their teacher drops a stone into a bowl of water to demonstrate how powerful the ripples from a single act of kindness can be. “Even small things count,” she says. Chloe decides that the next day she will be kind to Maya, but Maya never returns to school and Chloe doesn’t get her chance. This book could so easily sink into the depressing and didactic, but Woodson’s beautiful text elevates the story into a moving reminder to show kindness every chance we get. How to Heal a Broken Wing. In the middle of a great big busy city only a young boy notices a wounded bird lying on the sidewalk. His parents help him take it home and together they nurture it back to health. There’s a lot to love about Graham’s book. The story emphasizes the rewards of patience and the value of empathy, even for the smallest creature. There’s one 2 page illustration in which the family huddles around the bird, obviously absorbed in caring for it, while a scene of war plays on the TV in the background. The message is clear: compassion for others is what we should be focusing on. There is a lot of lovely detail in the illustrations which tell the story as much as the very spare text. The Spiffiest Giant in Town. George is a very scruffy giant! He decides to get a haircut and new set of clothes and voila! He becomes the spiffiest giant in town. However, as he travels through the area singing a little ditty about his spiffy-ness he encounters a few creatures who need his help. He makes a present of his tie to a giraffe with a cold neck, offers his sock to a fox who needs a sleeping bag and before you know it, he’s gifted away all his new clothes. His kindness does not go unnoticed and soon he receives a gift more precious than the clothes he gave away. How Kind. This is a wonderful book to read to younger kids that shows how a simple act of kindness can be passed on. It begins with Hen giving Pig a present and Pig answering, “How kind!” Pig is inspired to pass on the kindness to Rabbit, Rabbit to Cow, and on it goes. All this kindness, of course, comes full circle when the original gift hatches and Pig returns the egg-now-chick to Hen. The Kindness Quilt. After Mrs. Bloom reads her class the story of The Lion and the Mouse the class sets to work on their own kindness project. Each student is to draw a picture of an act of kindness and bring it into school for discussion. The project turns into the kindness quilt and the entire school gets involved. 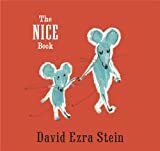 This is a really fabulous book which would be great to use in a classroom or at home to spark a conversation with your child and to get them inspired to perform daily acts of kindness. The Lion and the Mouse. This utterly gorgeous, wordless book is based on Aesop’s fable (the same one mentioned that inspired The Kindness Quilt, above). The mighty lion gets ready to eat the lowly mouse but in a moment of compassion spares it. His kindness is repaid later when the mouse is able to free the lion from a trap. This is a classic tale in our collective imagination and Pinkey’s illustrations are not to be missed. A Sick Day for Amos McGee. This is another great tale of how everyday acts of kindness never go unnoticed. The elderly Amos visits his friends at the zoo everyday. One day, when Amos doesn’t show up, his animal friends don’t just wonder where he could be, they go in search of him. When they find him at home, sick in bed, they take it upon themselves to care for him and cheer him up. Acts of kindness don’t need to be huge to be meaningful. Even seemingly small acts of friendship can go a long way to making someone’s day. Have you read any of these books? What acts of kindness books do you recommend? Erica (aka “Mom and Kiddo”) is a Stay-At-Home Mom to two very rowdy boys, ages 4 and 8. She blogs at What Do We Do All Day? 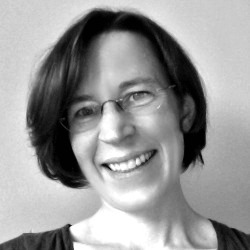 where she blogs about children’s books, indoor activities for kids and everyday learning ideas. You can connect with her on Facebook, Pinterest or Google+. Megan, it was a pleasure making this list for your readers. I hope they get a chance to read the books with their kids. Thanks Erica!!! We love the list and cannot wait to read them all! The Harry The Hippopotamus books by Jade DeKelaita have a GREAT message of kindness and acceptance. I’m a nanny and a nursery worker and every family I work with gets the books. The kids love the characters and the parents love the message. Everyone wins! I know they’re on amazon and Barnes and Noble and I believe smashwords.com as well for ebooks. Thanks Yvette! We’ll have to check them out! I absolutely love Erica’s blog and her lists. Pinning it right away! She is the BEST!!! I am so thrilled for her to share one with me!!!! LOVE Erica’s book lists! A Sick Day for Amos McGee is one of my all time favorites! She finds the best books!!! What a great booklist – and one that will always be relevant! So true! Kindness is always in style!!! at some point when you do another kindness list please consider Sophie’s Masterpiece, yolen. its a much overlooked book and worth a thousand reads. Thanks Marion! We’ll have to check it out! These are great books! Kane Miller’s Do Nice. Be Kind. Spread Happy. is definitely a great one to add!! Great book list! I highly recommend Be Kind by Naomi Shulman. In this sweet book, there are more than 100 ways to show kindness.